Edward Knell is credited with bringing the first “bred” race horse to Jasper County (as well the “art of embalming”) in 1889. The lucky equine was named “Ben McGregor” and cost Knell an estimated $3,000 dollars, quite the figure at the time. 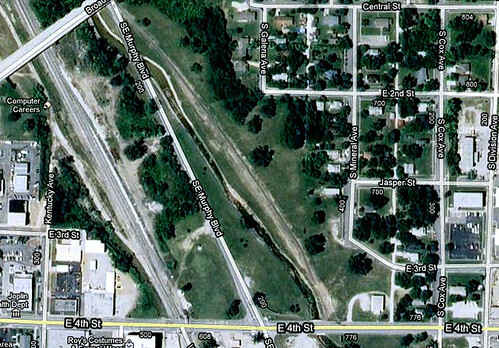 However, as early as 1872, even before Joplin came into existence, a race track was built just south of town that ran a half-mile long. 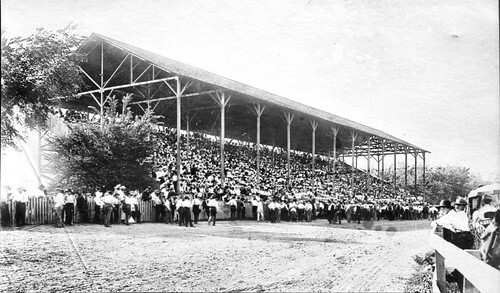 Another race track was built in 1879, along with stables, an agricultural hall, and a grandstand. 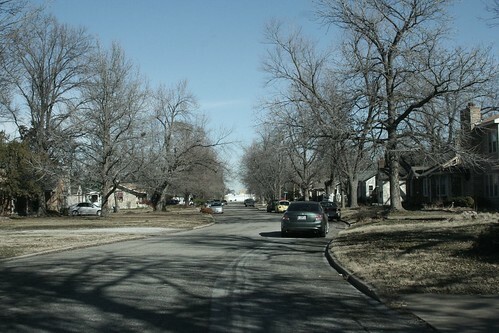 Gilbert Barbee, one time owner of the Joplin Globe, House of Lords, and Democratic party boss, bought this park and named it Barbee Park. 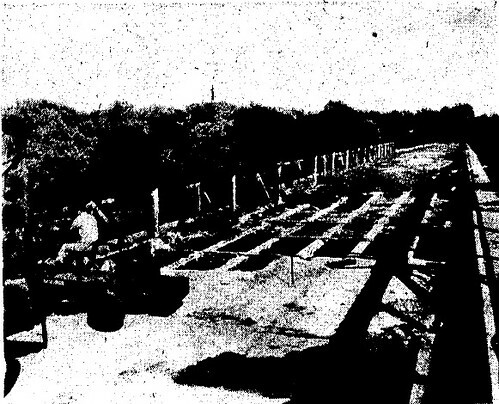 The grandstand featured in both images was designed by Garstang & Rea for Gilbert Barbee’s “driving park” for a price of $6,500. 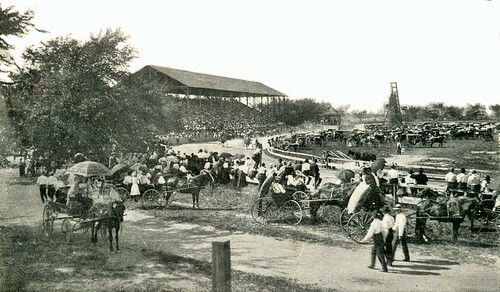 Barbee Park was home to countless horse races, but also served as the venue for such events like the Firemen’s Tournament that was held on the grounds in 1908. 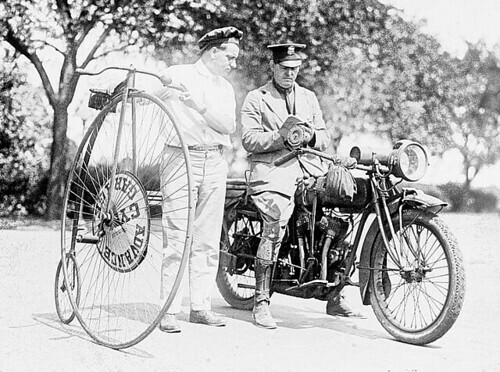 It was at the park where Joplinites got their first real glimpse of the speeding prowess of some of the first motorized fire engines in the nation, as well one of the last fire engine horse team races in the city’s history. 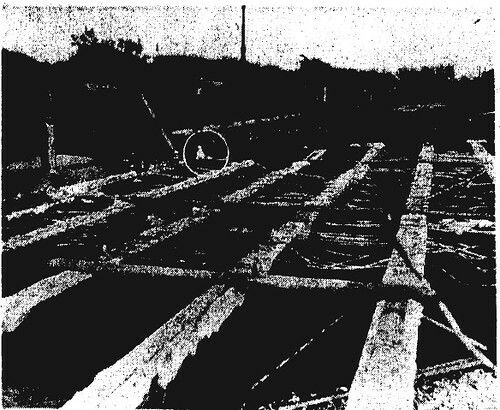 Unfortunately for Barbee, in the middle of an April night in 1909, the grand stand caught fire and was a complete loss, despite the best efforts of Joplin’s fire department. 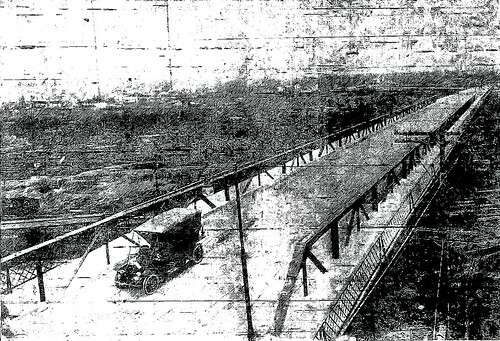 The grand stand was never rebuilt and in the 1920s, Barbee’s son leveled the track area to develop a neighborhood. Joplin is home to Thomas Hart Benton’s gorgeous mural, “Joplin at the Turn of the Century.” It’s rare to find someone in Joplin, or even the Tri-State region, who does not know of Benton’s affiliation with Joplin. Born April 15, 1889 in Neosho, Missouri, he spent his youth in Southwest Missouri. As a young man in his late teens, he arrived in Joplin and soon found work as a cartoonist at the Joplin American newspaper. Unfortunately for Benton, the Joplin American was a short lived enterprise. 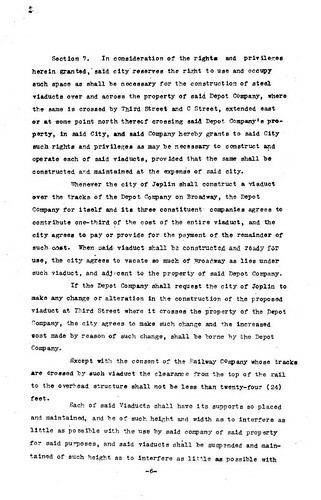 Financed by A.H. Rogers, the founder of the Southwest Missouri Railway, the paper folded. It later moved to Ft. Smith, Arkansas, where it continued on under a different name. 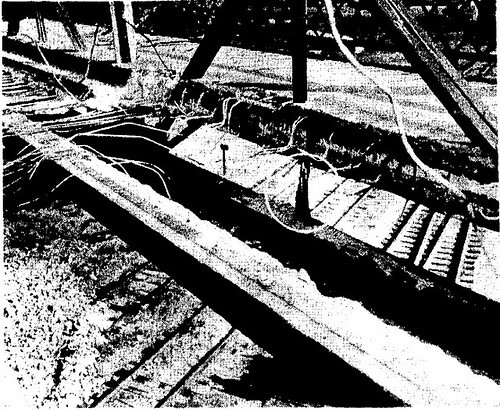 Although his motives are unclear, Rogers, a Republican, most likely wanted to create a paper to counter his Democratic rival, Gilbert Barbee, who controlled the Joplin Globe. 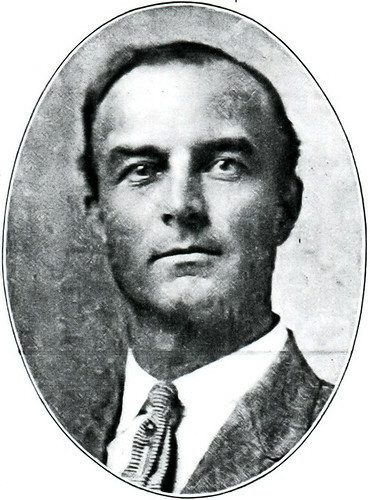 The two were political and business foes until Rogers quietly purchased the Joplin Globe out from under Barbee’s in 1910, silencing his rival for a short time. Barbee, never one to rest on his laurels, tried to launch a second paper after he lost the Globe. 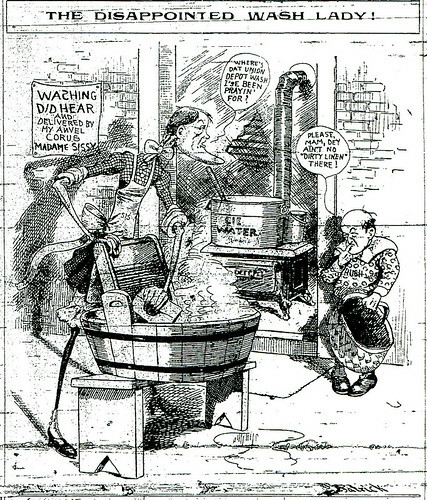 His second paper, the Joplin Morning Tribune, ran from 1911-1913, and often made sharp jabs at Rogers and the Globe. However, the heyday of Barbee’s political and journalistic power was over. The Morning Tribune was shut down and Barbee went into retirement, spending time at health resorts across the country, and only periodically returning to Joplin. 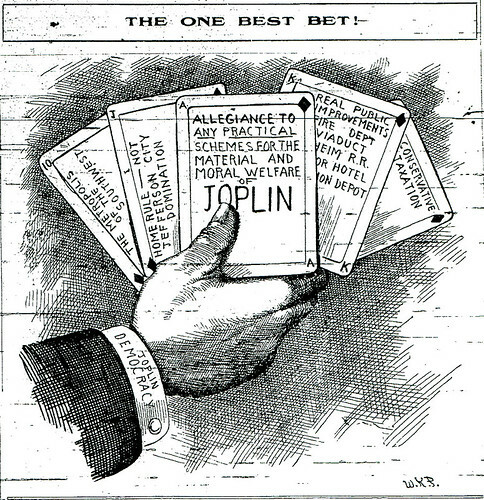 Upon his death in 1924, he left a generous bequest to the citizens of Joplin. Today the name Gilbert Barbee is little remembered, save for his time as owner of both the Joplin Globe and the House of Lords, but he may have helped spark the birth of a short-lived newspaper that employed an aspiring artist who went on to become one of Missouri’s most famous sons. 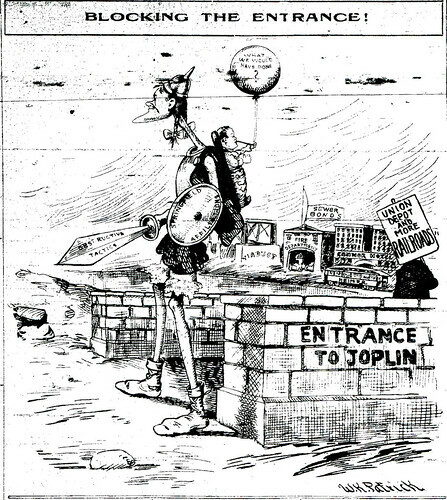 Ironically, no issues of the Joplin American newspaper are known to exist, but should you know of one – let us know. 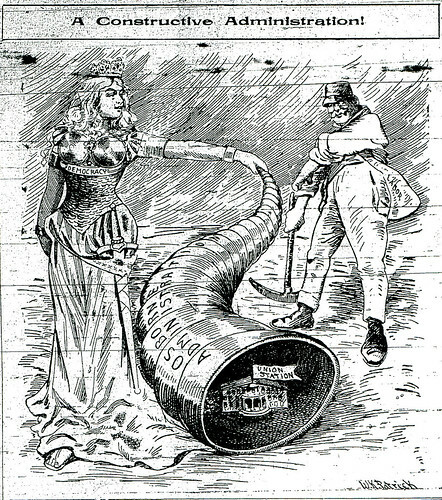 This image is taken from a 1906 issue of the Joplin News-Herald. 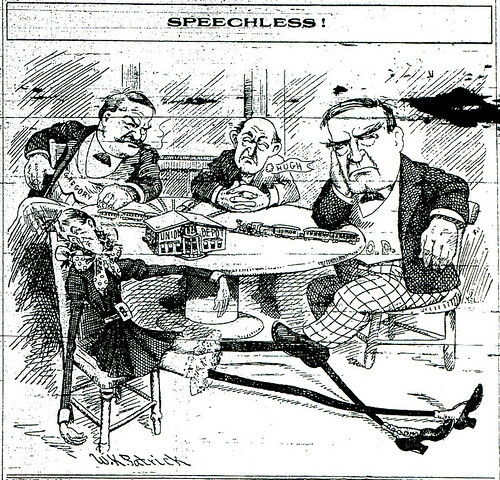 It depicts a scene from Joplin’s famed House of Lords. The House of Lords was a world reknowned saloon, brothel, and political watering hole. Gilbert Barbee, who was Jasper County’s Democratic political boss (when he wasn’t sharing the title with William Phelps of Carthage), bought an interest in the Joplin Globe in 1899. From that point forward, Barbee used the Globe as a cudgel against his Republican opponents, who often took their own swipes at Barbee. Barbee, who built a walkway between his office at the Globe and the House of Lords, was intimately associated with the saloon. 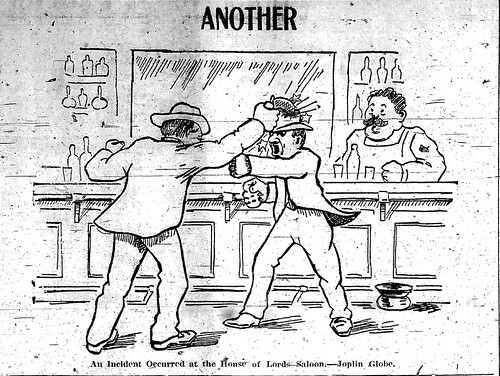 This cartoon is the News-Herald‘s attempt to link Barbee to the brawls and violence of the House of Lords, a cunning parallel to the political battles he often fought against rivals and opponents at the state and local levels. Despite his politically combative demeanor, Barbee left $100,000 to the poor in the city of Joplin upon his death.